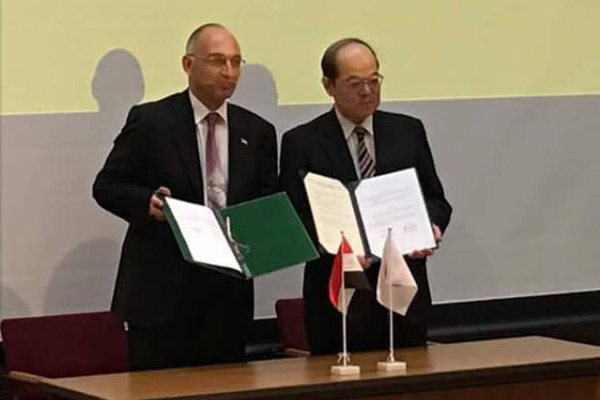 During his visit to Japan to inaugurate the Pyramid Builders exhibition in its fifth round, Egyptian Minister of Antiquities Khaled El-Enany witnessed the signing of a memorandum of cooperation (MOC) between the Tokyo National Museum and the Grand Egyptian Museum (GEM). 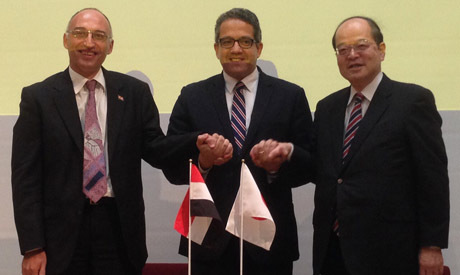 El-Enany said that this is the first MOC between the Tokyo National Museum and a non-Asian museum or association, a fact that highlights the keenness of Japan to support Egypt in the archaeological field and the completion of its GEM mega project. GEM supervisor-general Tarek Tawfik told Ahram Online that according to the MOC, several facets of cooperation are to be implemented, including the exchange of experts in museology and restoration as well as organising archaeological conferences, scientific seminars and permanent exhibitions.